This is an insightful piece that deserves to be quoted in its entirety. 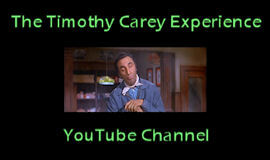 In the spring of 2009 Vox Populi hosted a show and 3 screenings featuring the works of Timothy Carey. Timothy Carey was an actor, director, screenwriter and producer who, like his friend John Cassavetes, remains more famous for the films he made to finance his own smaller and independent pictures. The approach to the business of making films that these two men took is perhaps more relevant today than it was in the 1960s and 1970s. That is to say, through their example, shouldn’t every struggling filmmaker be capable of producing films on their own terms and far from meddling hands? Perhaps, but it is the importance of Timothy Carey to American cinema which I intend to address today, and perhaps in the process answer the question I have posed above. After a string of bit roles, most notably in early Kubrick films (The Killing and Paths Of Glory), Timothy Carey was able to make a film of his own titled The World’s Greatest Sinner (1962). In this film, Carey stars as a working stiff who quits his job, forms a hit rock band, then rallies his fan base around him into a Satanic religious cult financed by elderly women he’s seduced. Like Roger Corman’s early films of social commentary (The Intruder), The World’s Greatest Sinner makes heavy use of character actors and non-professionals. However, Carey distinguishes himself here better than Corman managed to. Carey, an actor himself, was better at casting non-professionals, placing them in roles closer to their own lives and thus allowing them to behave and “perform” more organically. Carey also embraces the black and white photography in his film, as opposed to heavily lighting the sets, which was customary for low budget films, assuming they would play mostly at drive-ins. Carey works with high contrast compositions, similar to the film noir genre, though not so rigorous. This gives his film a very edgy quality that allows it to be equal parts confrontational and nightmarish as well as having a true-to-life atmosphere facilitated by his performers. Those aesthetic mechanisms are what make Carey’s satire of the music industry so impressionable and haunting. Without such skill to the formalist trappings of the film, its premise would seem ridiculous and would have been easily dismissed by audiences as campy excess. 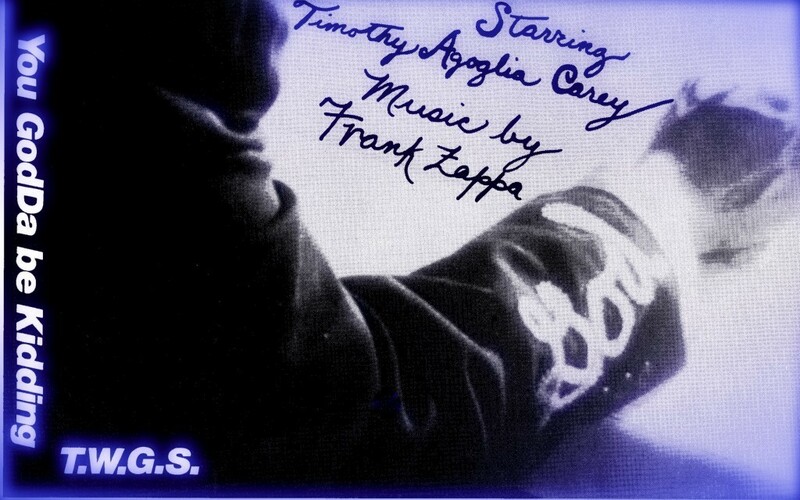 Another significant fact worth noting is that the films score was composed by a young Frank Zappa. However, despite the then iconoclastic nature of his film, Carey was never able to procure a distributor, leaving his film on the festival circuit for years till the advent of cable. Carey, unlike Cassavetes, lacked the personal resources to self-distribute his films. Regardless, The World’s Greatest Sinner has gone on to become a high profile cult film with a large fan base and the influence accompanied by such an audience. Sadly, The World’s Greatest Sinner is the closest Timothy Carey ever came to domestic distribution, since the rest of his films are either incomplete or have only been shown in competition a handful of times. Despite these setbacks to his own filmmaking career, Carey has appeared in a number of films spanning a wide variety of genres during the 1960s and 1970s. Of these films, his work with John Cassavetes is the most significant and lasting. Timothy Carey first worked with John Cassavetes in the film Minnie & Moskowitz (1971), playing Morgan Morgan. According to film scholar Ray Carney, the scene in which Carey appears was done as a favor by Cassavetes to help him finance one of his own films. Regardless of the motivation, Carey gives a hysterical performance, improvising almost all of his lines opposite of Seymour Cassel. Next, Carey appeared in Cassavetes’ personal and allegorical film about a life in show business, The Killing Of A Chinese Bookie. Carey appears more in the original cut of the film from 1976, playing a gangster out to collect money from Ben Gazzara’s character Cosmo. Again, Cassavetes allowed Carey a comical freedom with his portrayal of the gangster, often appearing while stuffing his face with food. Of all the films Carey acted in outside his own, the two made with Cassavetes are among his best, and certainly surpass his foray into exploitation films in regards to the quality of his performance and the film in general. To this day, Timothy Carey is among those filmmakers cited as the “Godfathers” of American Independent films, and is therefore worth checking out.